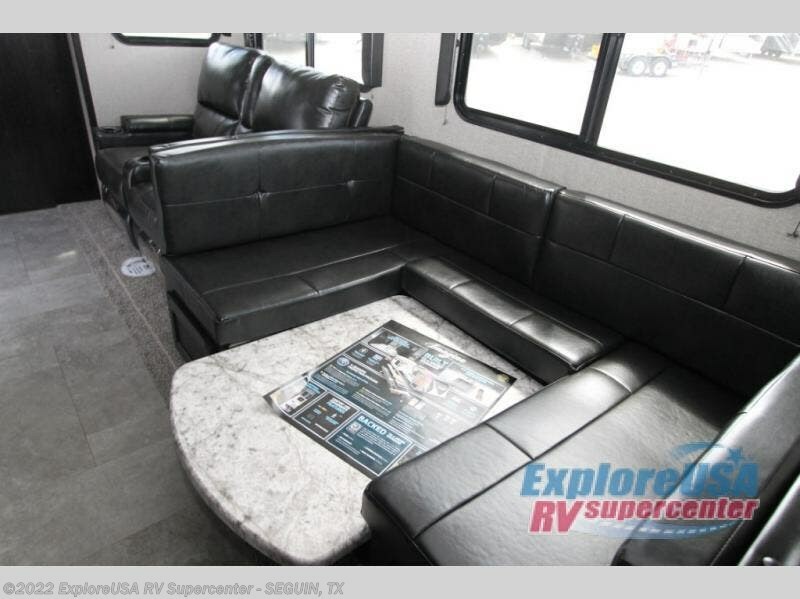 Imagine yourself placing your tennis shoes in the shoe storage before relaxing on a tri-fold sofa, or eating a snack at the booth dinette. 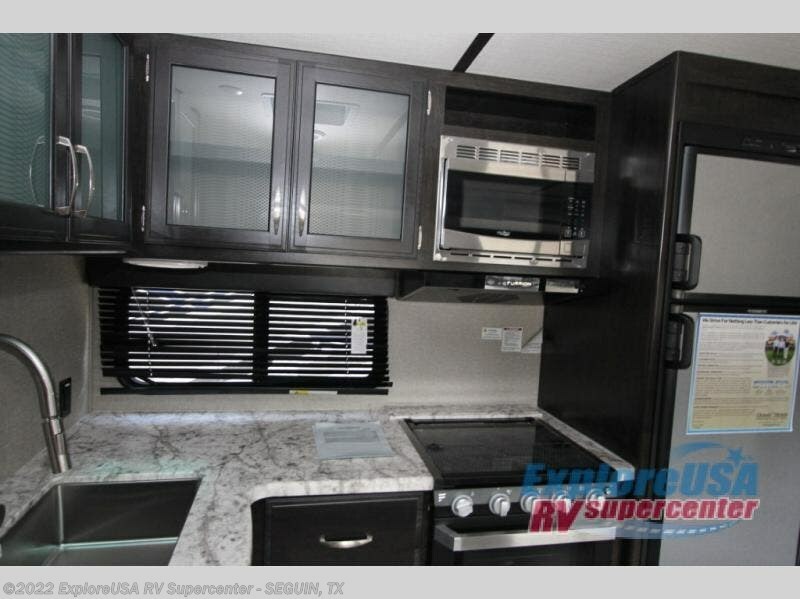 You can even fill your dog's water bowl in the pet dish drawer below the refrigerator. 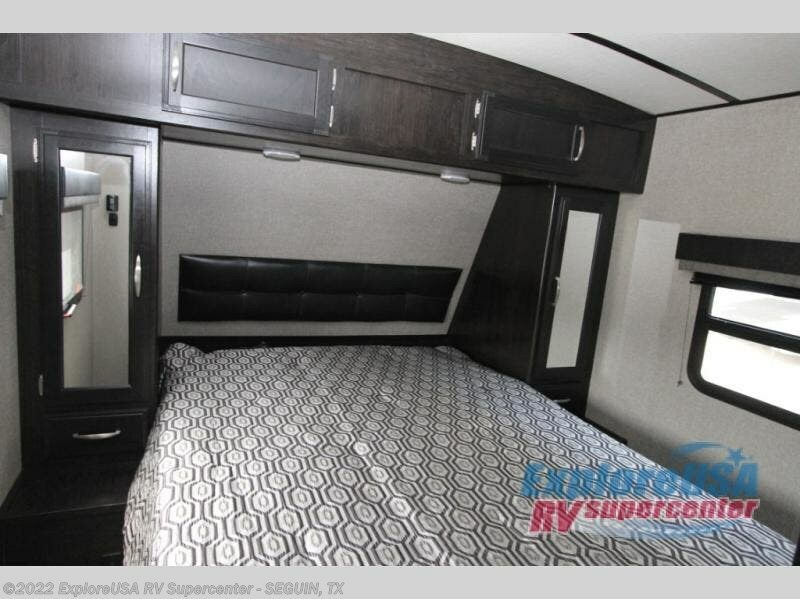 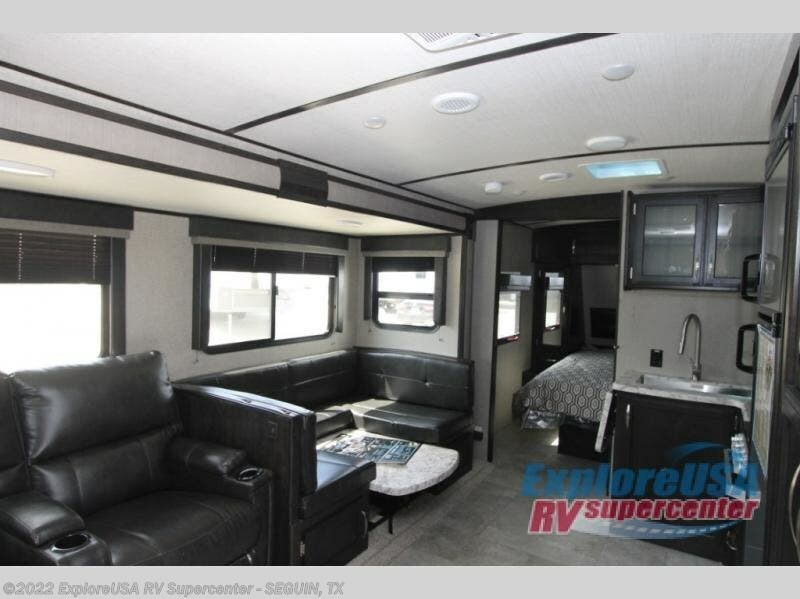 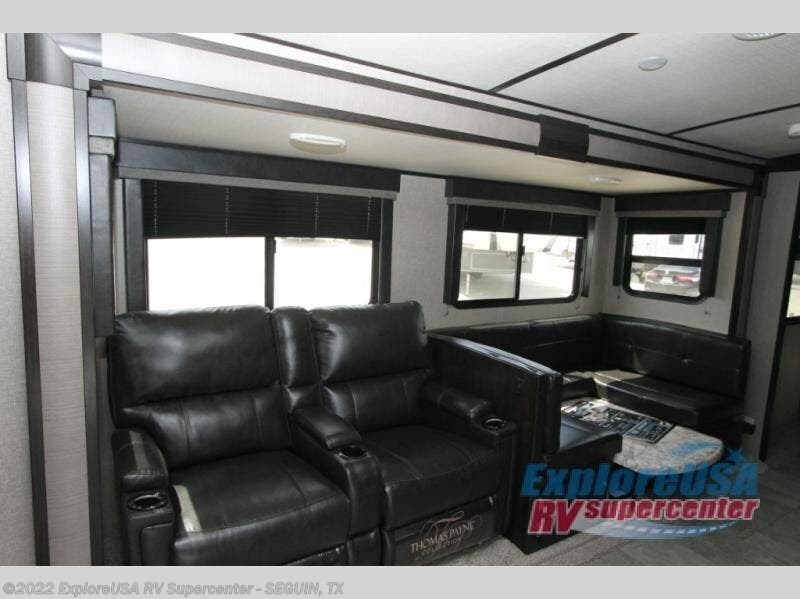 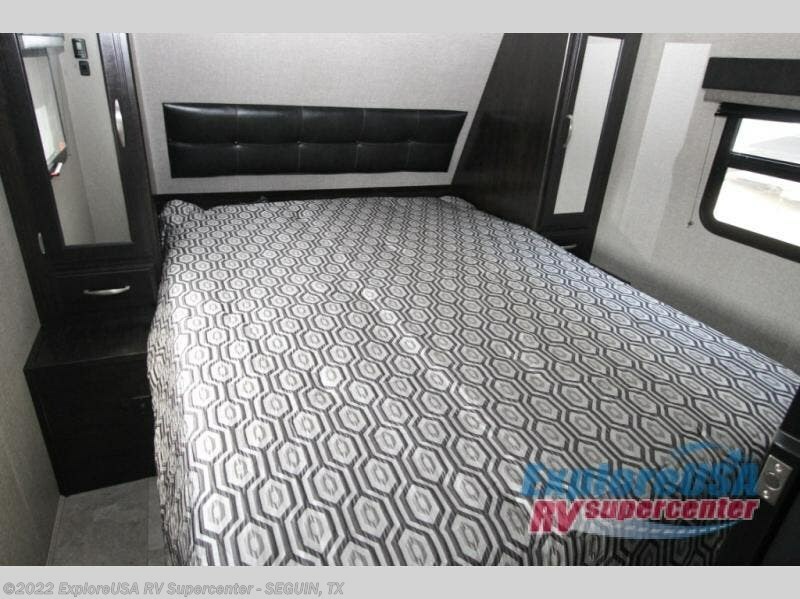 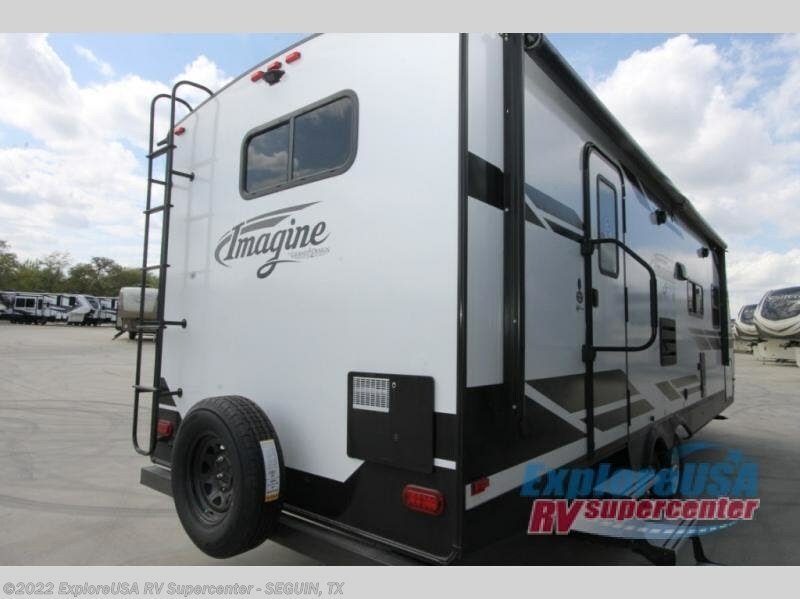 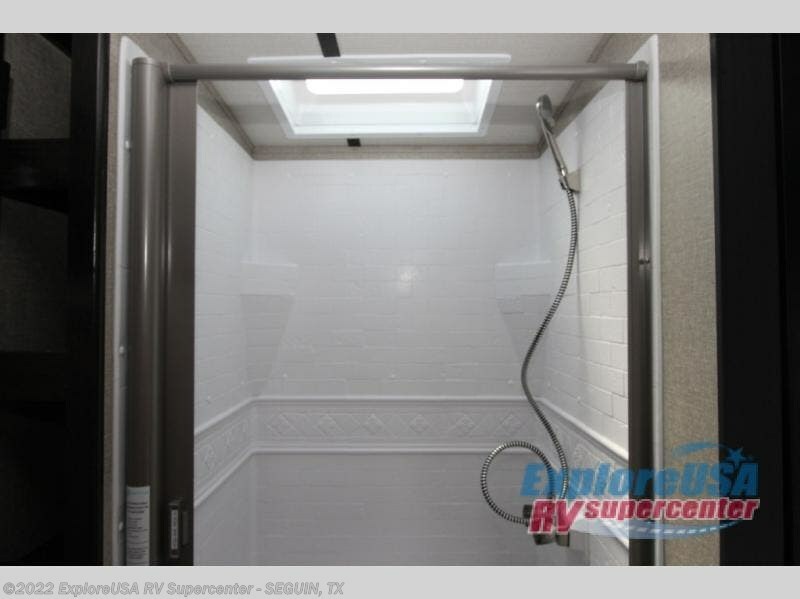 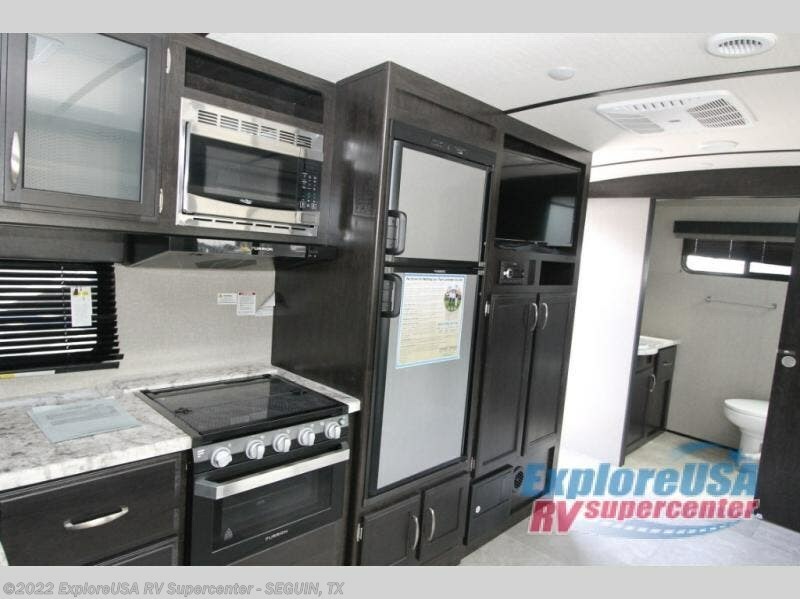 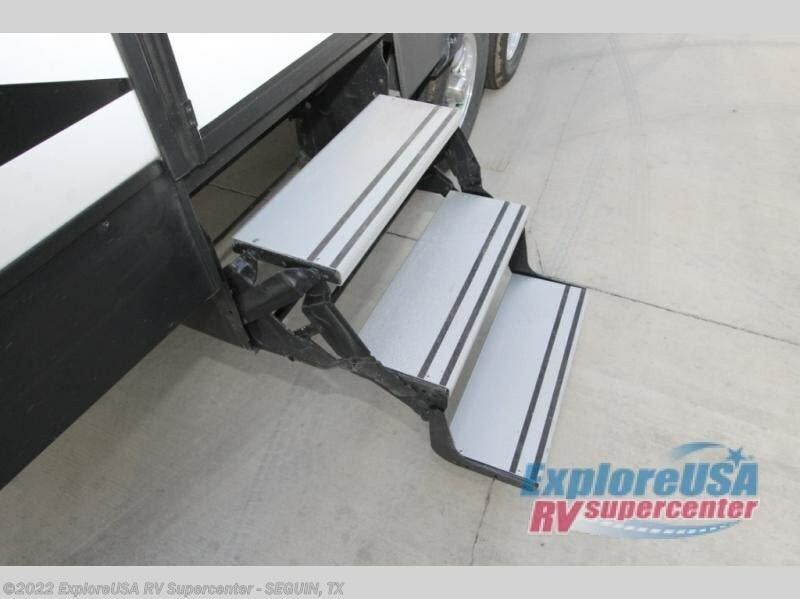 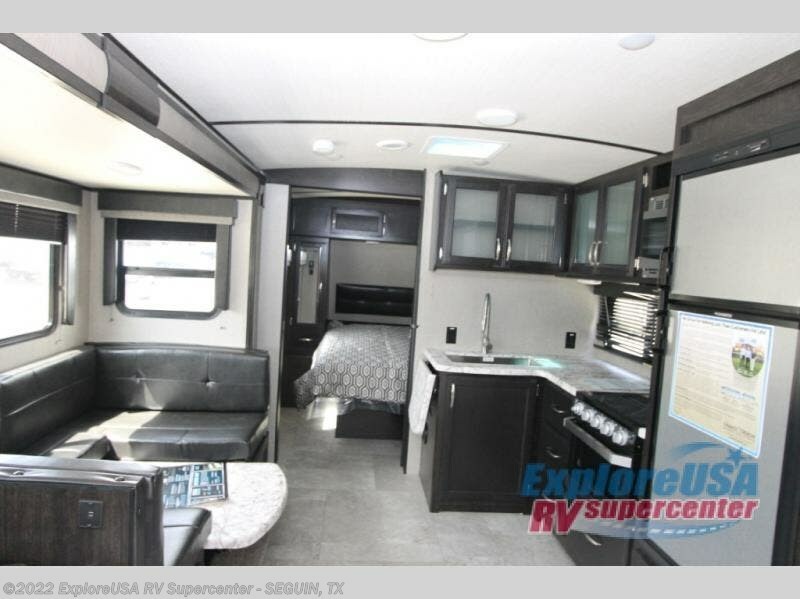 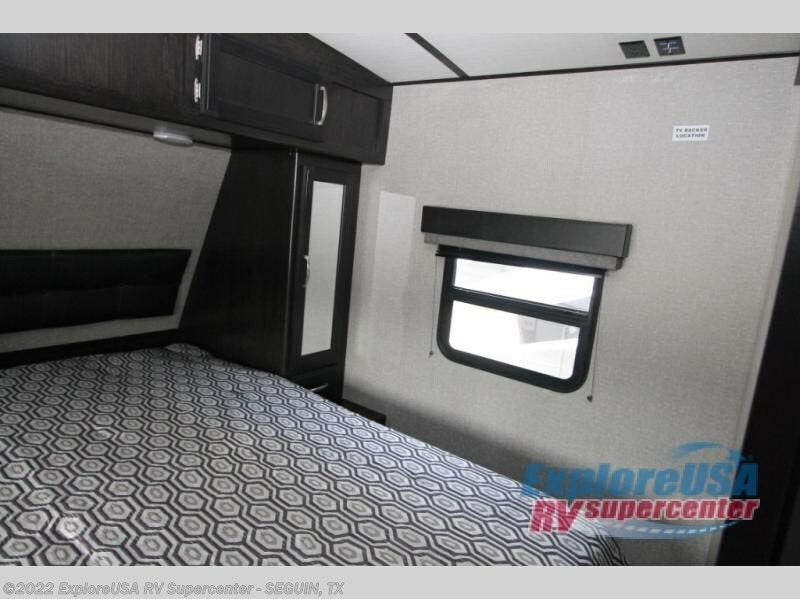 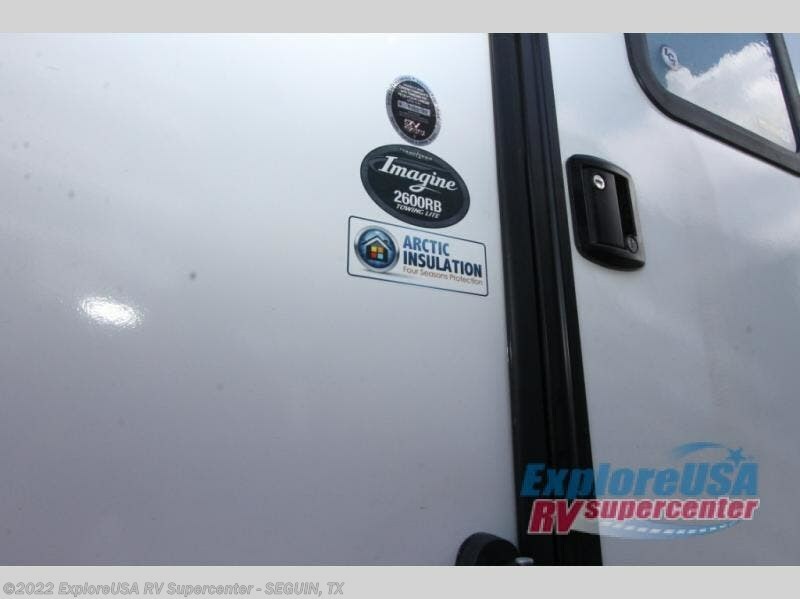 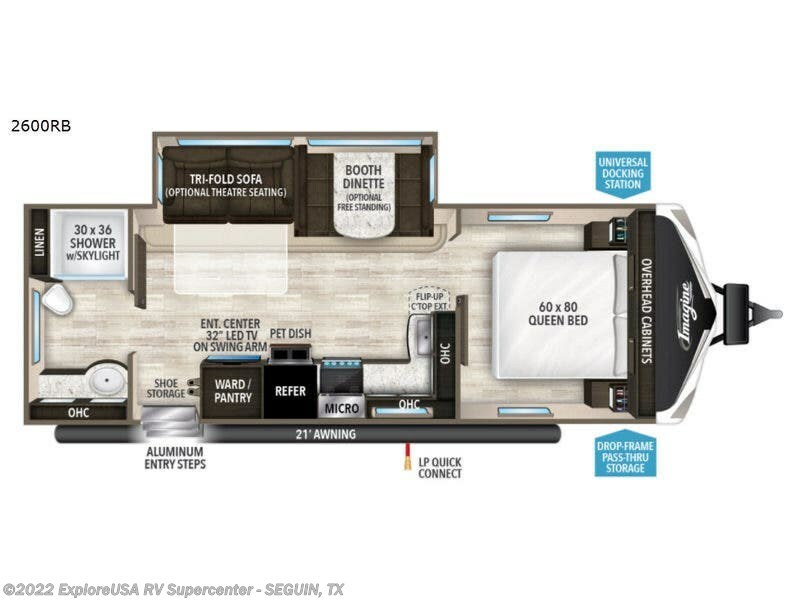 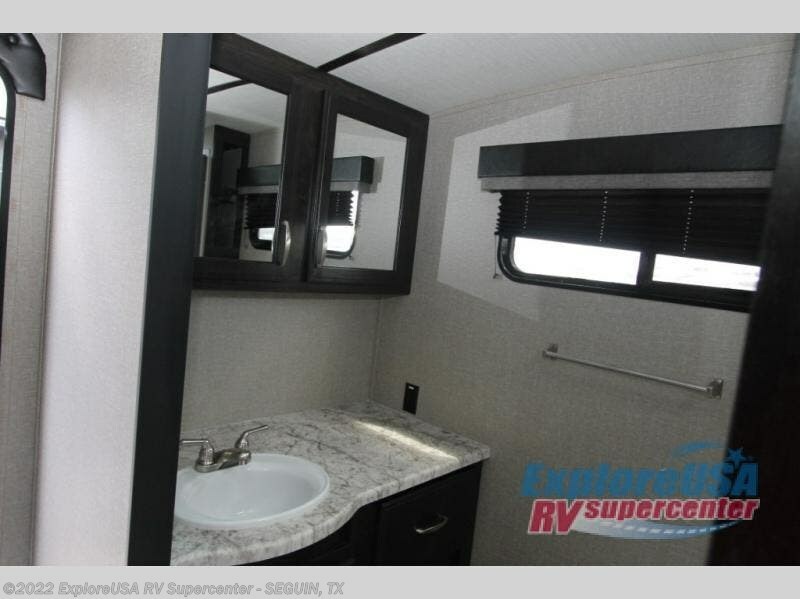 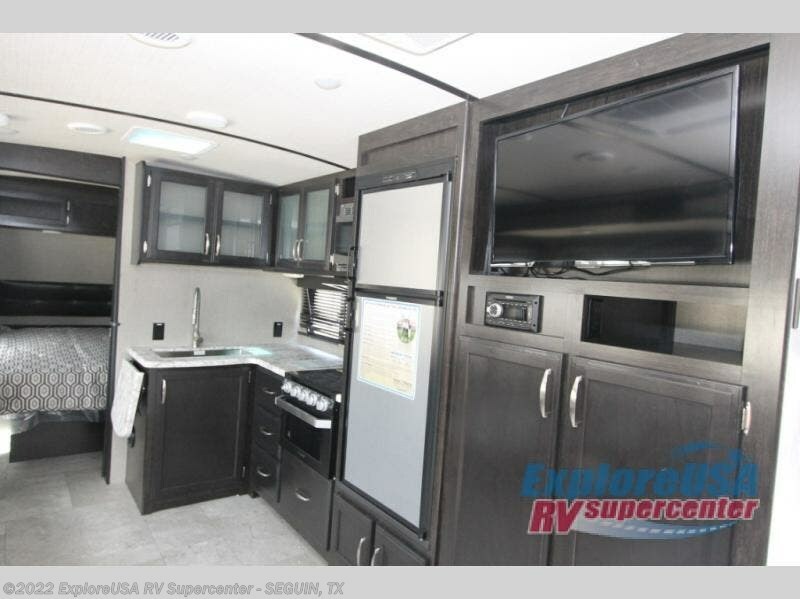 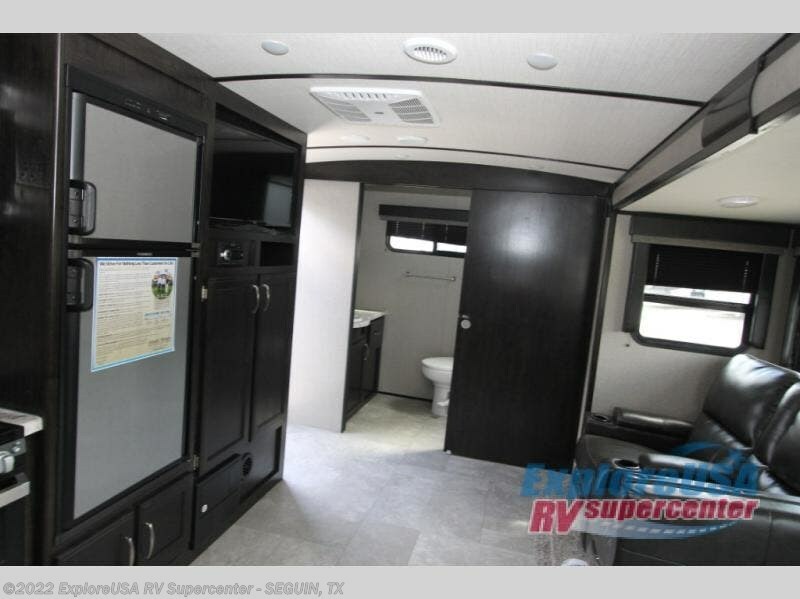 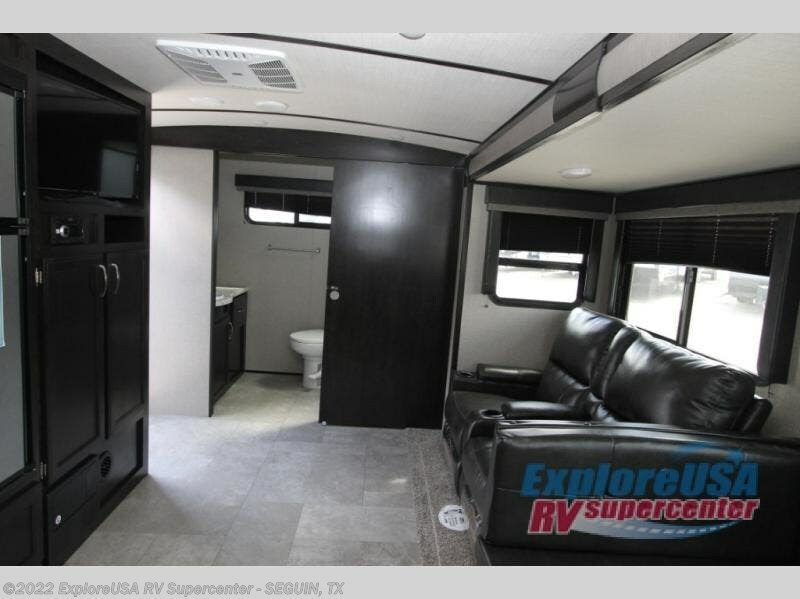 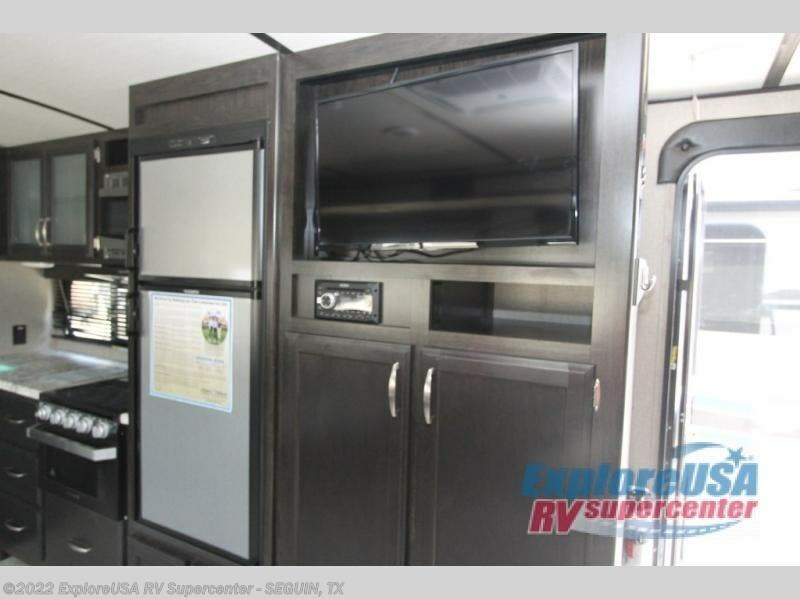 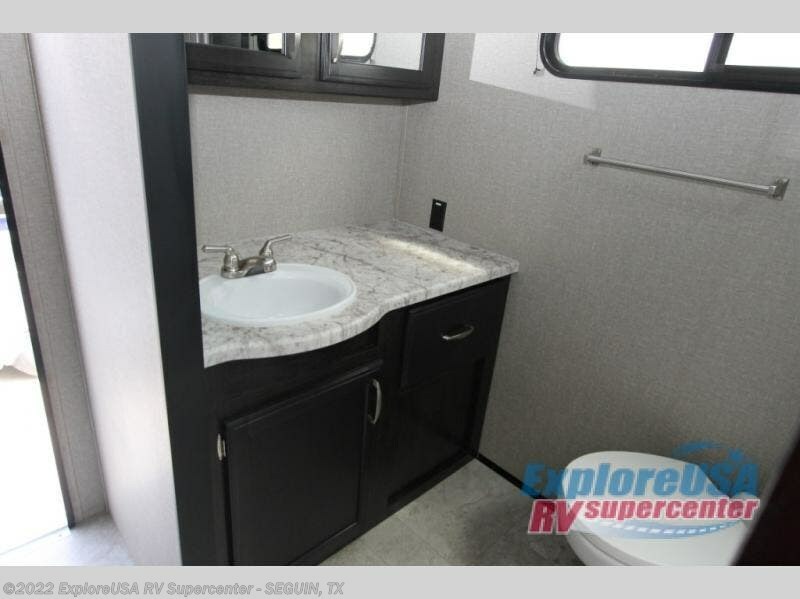 This 2600RB travel trailer has the perfect layout for a couple or a family of five. 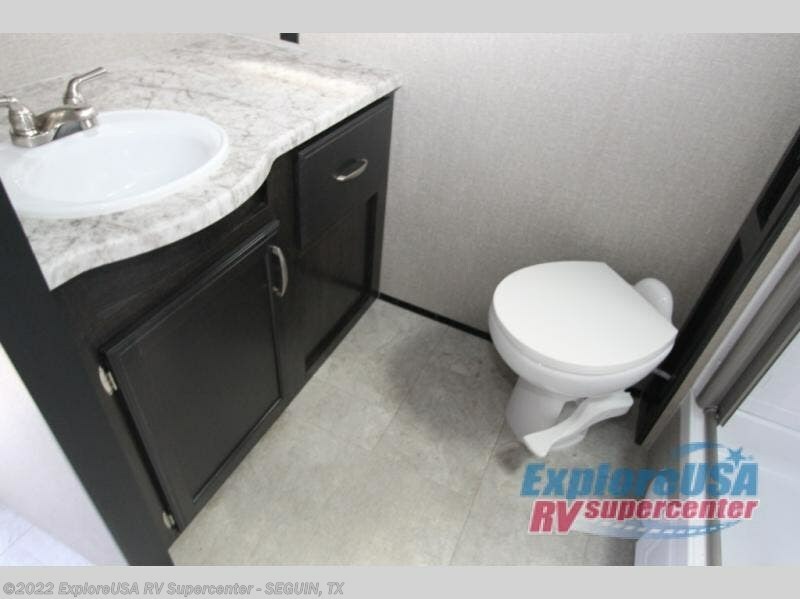 The kitchen and bath amenities allow you to make meals, and skip the public facilities. 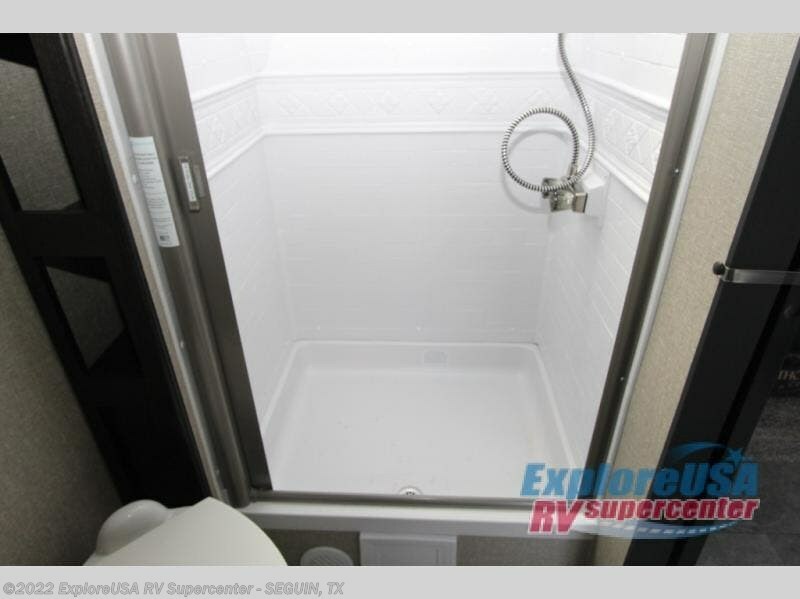 When it is time to retire for the evening you can retreat to the front bedroom with a space savings sliding door. 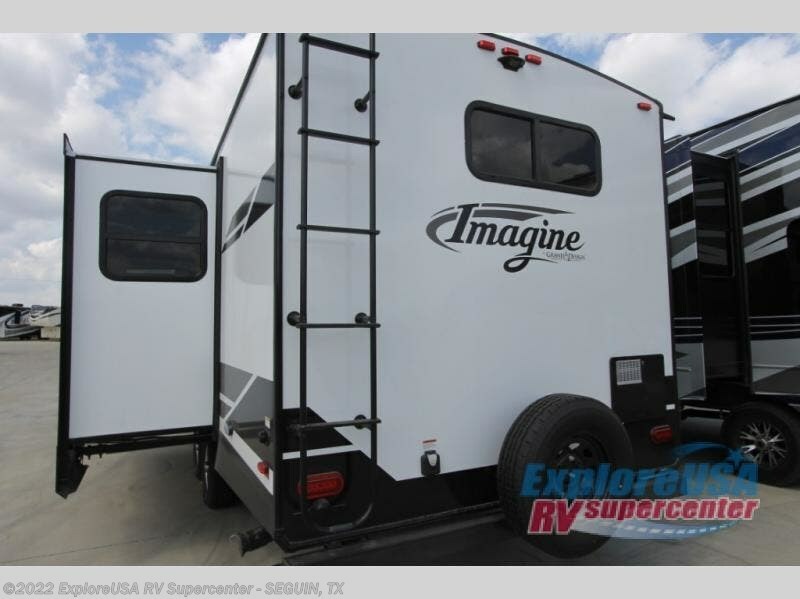 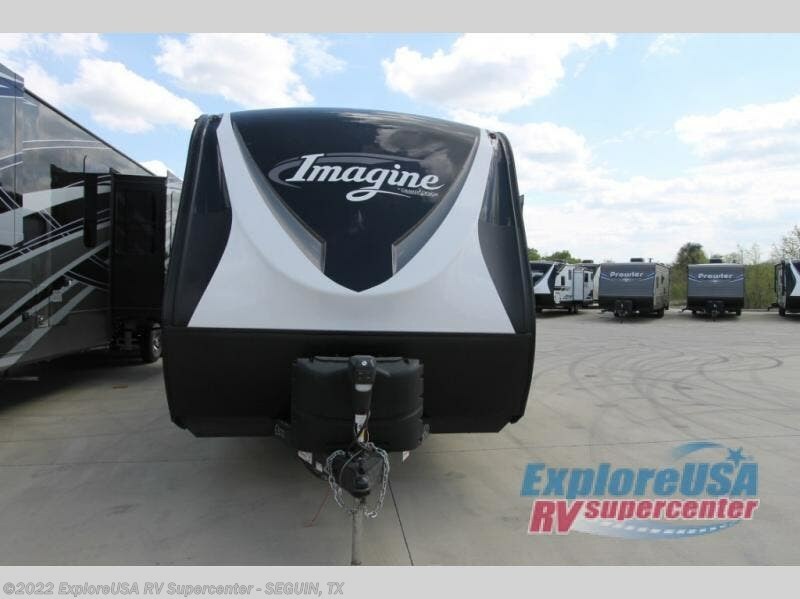 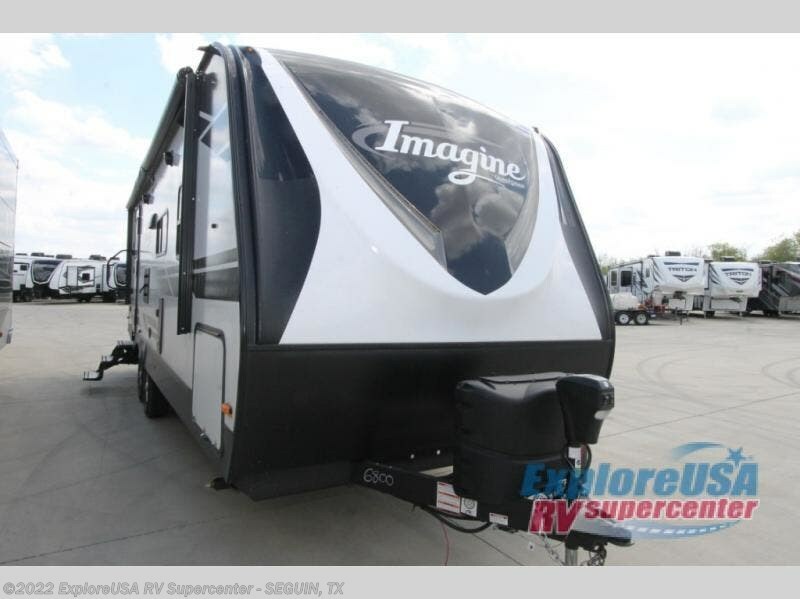 Now imagine you own this trailer and imagine how many places you have already visited. 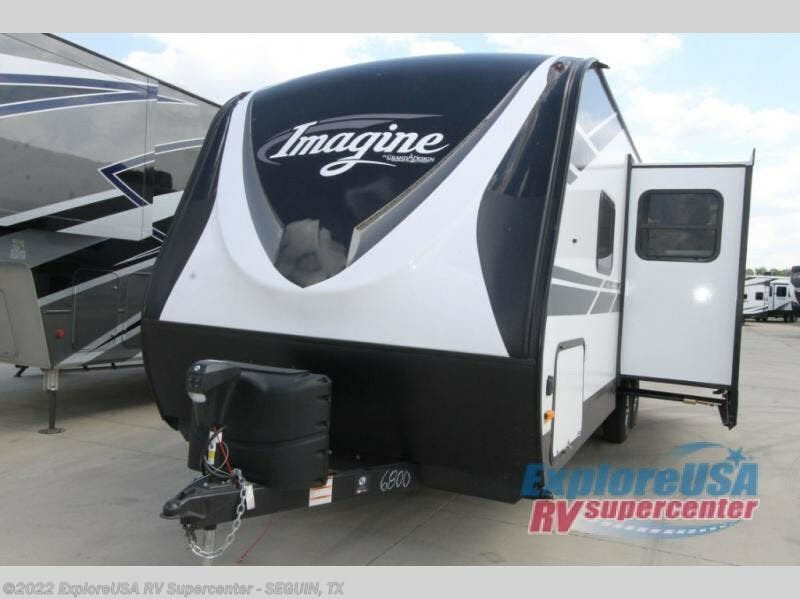 Check out Stock # SA3584 - 2019 Grand Design Imagine 2600RB on granddesignsource.com!